I love me some Cocktails. True Story. So when the holidays come around, it gives me the perfect excuse to go into frantic baking and cocktail-shakin’ mode! This little number is a spin off of one my favorite cocktails to make–Mojitos. I just heart mojitos as they epitomize some of my favorite flavors—bright citrus, vibrant herbaceous notes, and just the right amount of light rum. 🙂 The lemongrass simple syrup offers a wonderful pairing to the traditional mojito as it mirrors the citrus of the limes but adds a little kick of spice. And with that dear friends, here’s a toast to you and the Holidays! Salute! Kampai! Prost! ʻŌkole maluna! L’chaim! Gan Bei! Sante! Can ly! Prepare Lemongrass Simple Syrup by combining water and sugar in a medium saucepan. Bring the mixture to a boil and let the sugar dissolve. Remove from the heat and add lemongrass. Allow syrup to steep and cool to room temperature. After 60 minutes, strain the syrup to remove the lemongrass. In a cocktail shaker, thoroughly muddle the mint leaves and lemongrass simple syrup. Add lime juice, rum and fill the shaker with ice. Vigorously shake and strain the liquids into a tall glass filled with ice. Top off glass with club soda. 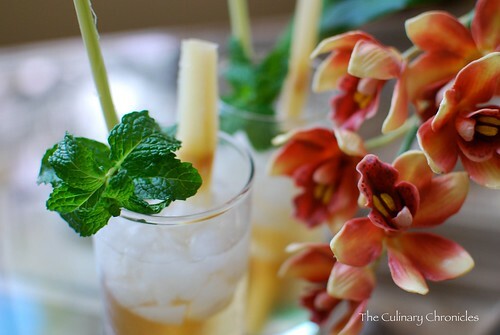 Garnish with lemongrass stalks and mint leaves. Oh I love lemongrass!! It’s so refreshing.. yum!! also, great photos! makes me want to travel and sip on some mojitos! 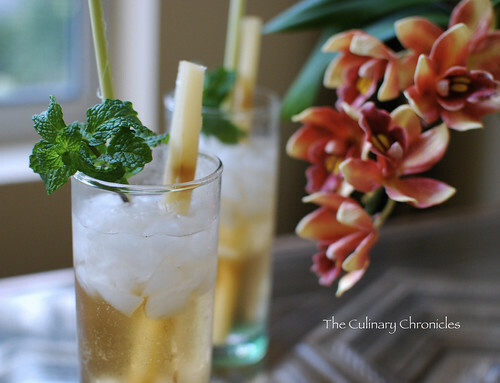 I love mojitos, and lemongrass makes a refreshing twist. Thanks for sharing.